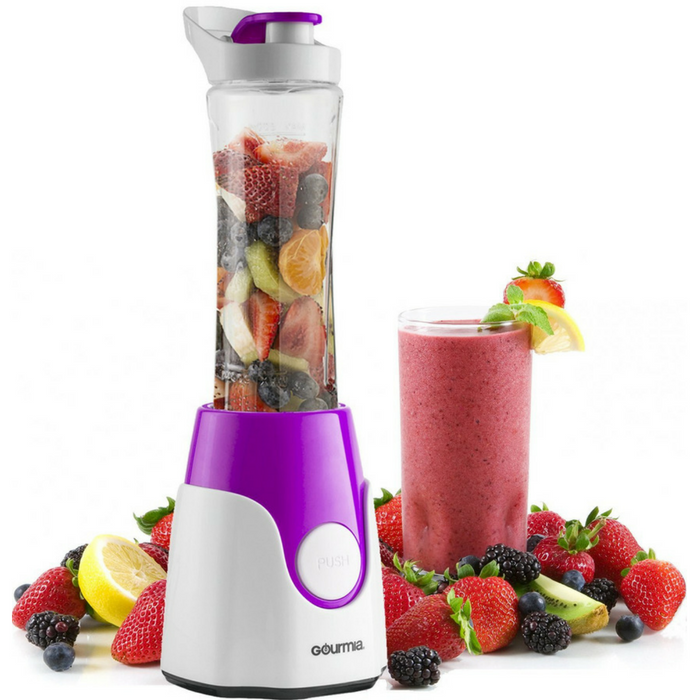 Gourmia Personal Blender Just $13.59! Down From $40! You are here: Home / Great Deals / Amazon Deals / Gourmia Personal Blender Just $13.59! Down From $40! Head over to Amazon to score this Gourmia Personal Blender for just $13.59 down from $39.99 PLUS FREE shipping with Amazon Prime or for orders $25 or more! Make time for healthy homemade goodness on the fast track! With Gourmia’s BlendMate Plus, you’ll be glad you did – we’ve lined up everything you need for fast paced, targeted blending. You’ll get the sleekest, smoothest ideas at the touch of a button. The Blend Mate Plus Personal Power Blender from Gourmia blends food right in the bottle for blend and go convenience. Blend anything from smoothies, baby food, crushed ice or salsa and it’s ready to go in minutes. It truly is the perfect addition to any kitchen. BOTTLE BLEND: Conveniently blends directly into included BPA free travel 600 ml sport bottle with sealable lid. HOT & COLD: This versatile blender powers through both cold and hot ingredients up to 100ºC/ 212ºF. ONE TOUCH: Effortless single button operation to unleash 250 watts of blending power, with touch pulse for optimal texture. PERFECTLY SMOOTH: Dual action stainless steel blade delivers perfectly smooth, creamy consistency.